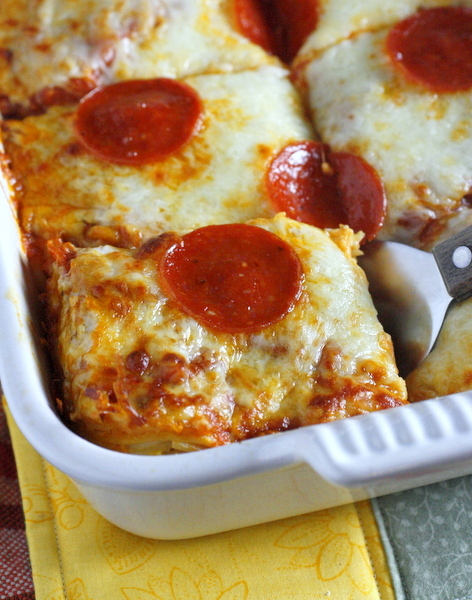 This easy pizza spaghetti bake combines two traditional favorites in one delicious (and easy to make) casserole! 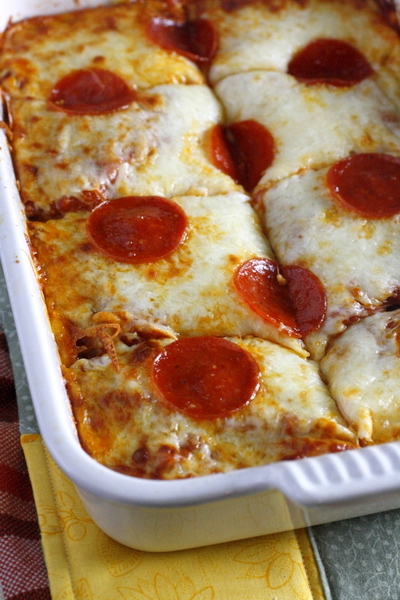 You are going to love this pizza spaghetti bake! This quick and easy meal combines two of my favorite meals, spaghetti and pizza, into one delicious casserole. It doesn’t get better than that! The spaghetti is covered in sauce and flavored with pizza seasonings, and then topped with lots of gooey melty cheese and spicy pepperoni. Yum!! This is a meal that is sure to please even the pickiest eaters, and it is so simple to make. It’s a nice twist on more traditional favorites, and definitely an easy one to add to your menu rotation. Plus it’s one of those meals where you can always keep the ingredients on hand to make it last minute if you need to. Even better, you can get your prep area cleaned up and even make a quick vegetable side dish while the spaghetti is in the oven! 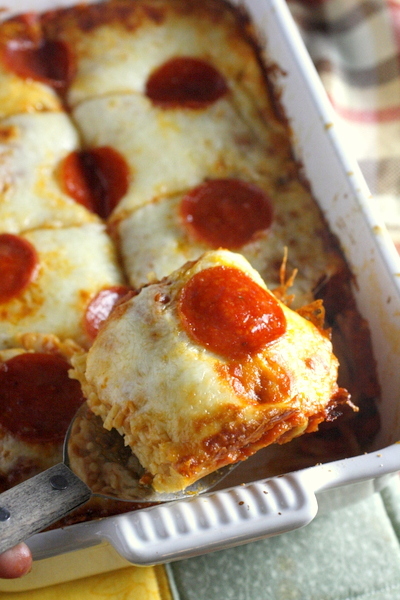 We love this pizza spaghetti bake and I’m guessing you will too. Looking for another great casserole recipe? I’d highly recommend also adding this Cheesy Chicken and Rice Casserole to your dinner plans! Preheat the oven to 375. Lightly grease a 9x13 baking pan and set aside. Cook the spaghetti noodles according to the package directions. Drain well. In a medium-sized bowl, whisk eggs and milk. Add the Parmesan cheese, oregano and garlic to the egg mixture. Stir in spaghetti noodles and quickly toss until all ingredients are combined. Pour noodle mixture into a greased 9×13 pan. Pour the spaghetti sauce on top of noodles. Top with half of the pepperoni. Sprinkle the shredded cheese on top of the pepperoni and top with remaining pepperoni. Bake for about 25 minutes or until golden brown. Let cool five minutes before cutting into pieces. Serve warm.